In the Tucson Sailing Club Spring Regatta, you can sail the warm waters of the Sea of Cortez and party with other sailors. 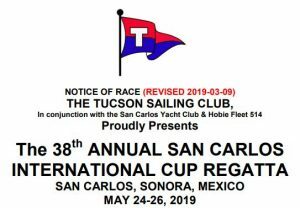 The Tucson Sailing Club in conjunction with the San Carlos Yacht Club presents the 38th Annual International Cup Regatta in San Carlos, Sonora, Mexico May 24 – 26, 2019. 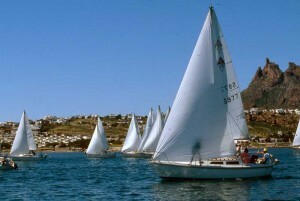 The annual regatta is a multi-day sailing event and includes a number of festivities. See the events schedule below. 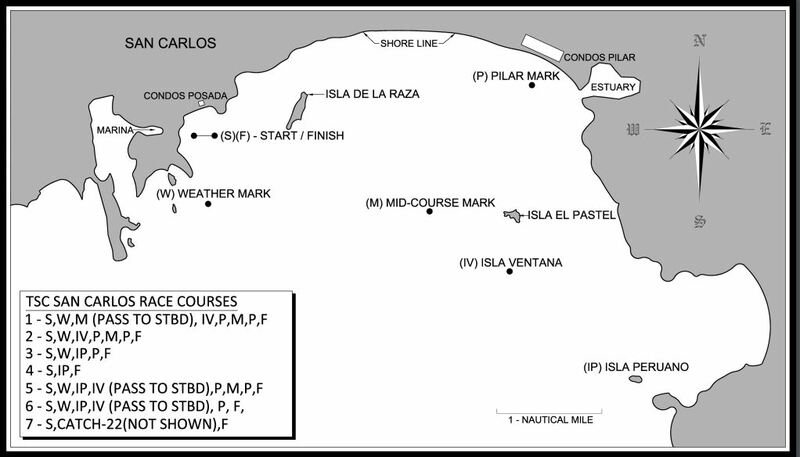 Racing a single distance race each day of a two day competition around a course of islands and marks. 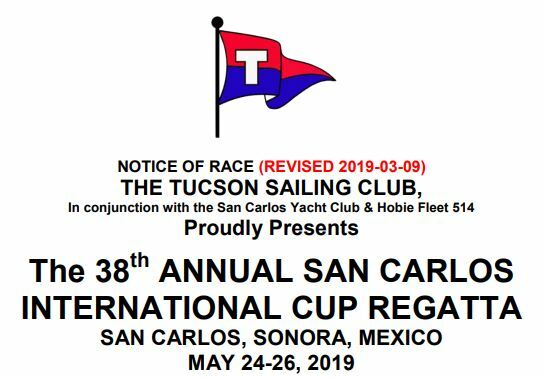 For more information (i.e., Notice of Race & Sailing Instructions), visit the Tucson Sailing Club‘s website or contact Tony Krauss, Race Director at 520-955-2769, abkrauss@cox.net. The registration fee is $75 USD for members and $80 for nonmembers. A $10 late fee will be imposed after May 11, 2019. Fee includes race registration, race packet, 1 shirt and 1 awards banquet ticket. All sailors are invited to enter the race. For information on slip rentals, mast setup, launching, etc, contact Marina San Carlos at 011-52-622-226-1061. If you’re visiting San Carlos for the event, check out local hotels, condos, and vacation rentals.